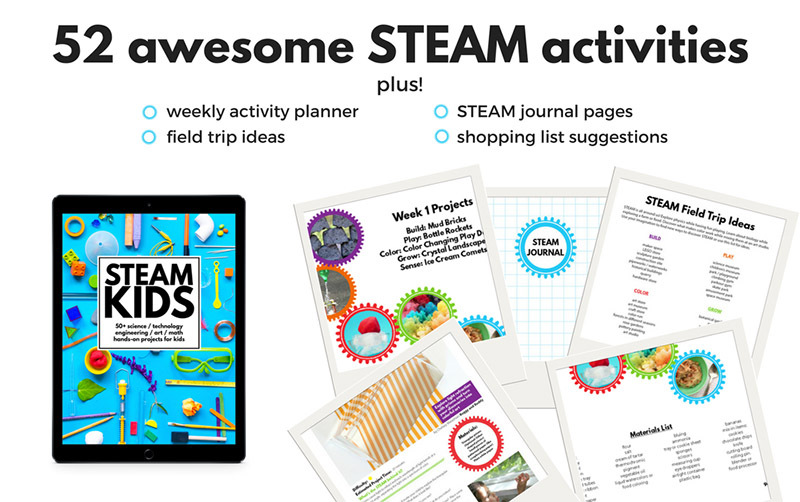 Summer vacation is almost here and it’s time to get your STEAM on!! Get outside and play while you have fun with some science, technology, engineering, art and math! 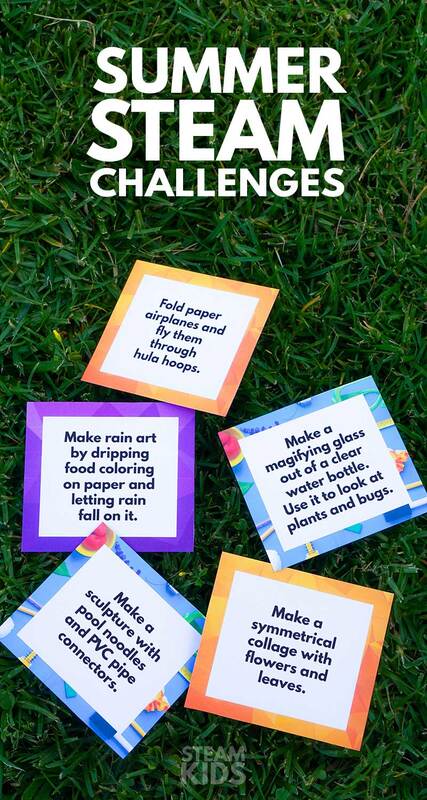 These FREE Summer STEAM Challenges are a perfect way to prevent the dreaded summer brain drain factor or just to have a good time this summer. 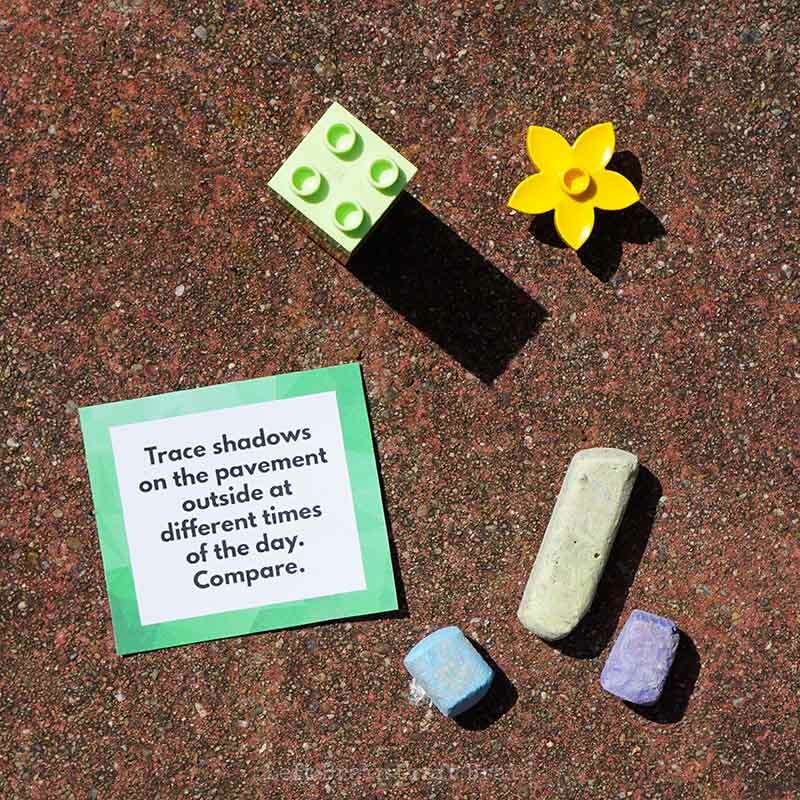 Plus, they’re super easy to set up and most use supplies you already have on hand because who needs complicated during summer break?! We have three goals this summer… Get outside. Have fun. 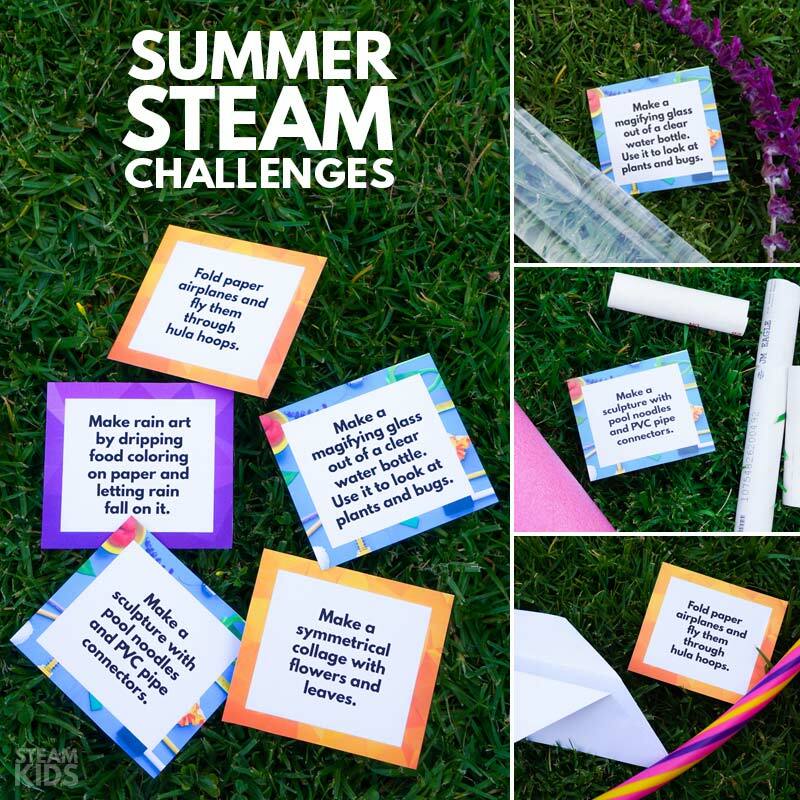 Do some STEAM :) And these summer STEAM challenges are a great way to start because they’re entertaining, but don’t require much work. Your first step to having fun is to download the cards here and print them out. Then leave them hanging up for the kids to pick an activity when they say they’re bored or want some screen time. 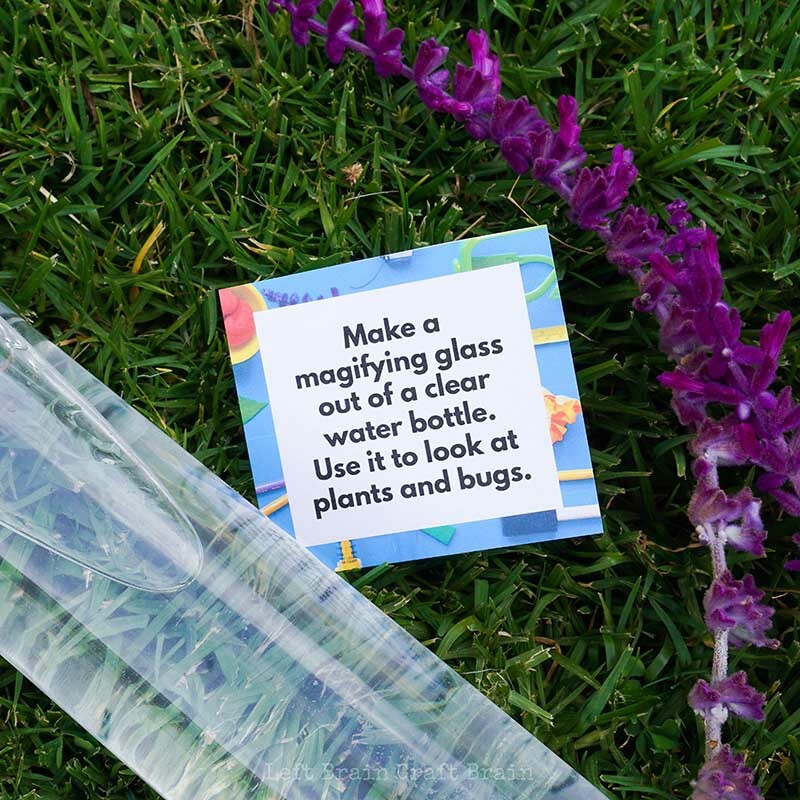 Make a Magnifying Glass Out of A Clear Water Bottle: Did you know that you have a magnifying glass right in your fridge? Simply hold a full one (or a refilled one!) up to what you want a closer look at, like plants and bugs. We love Voss water bottles for this, but any without a ton of ridges will work. 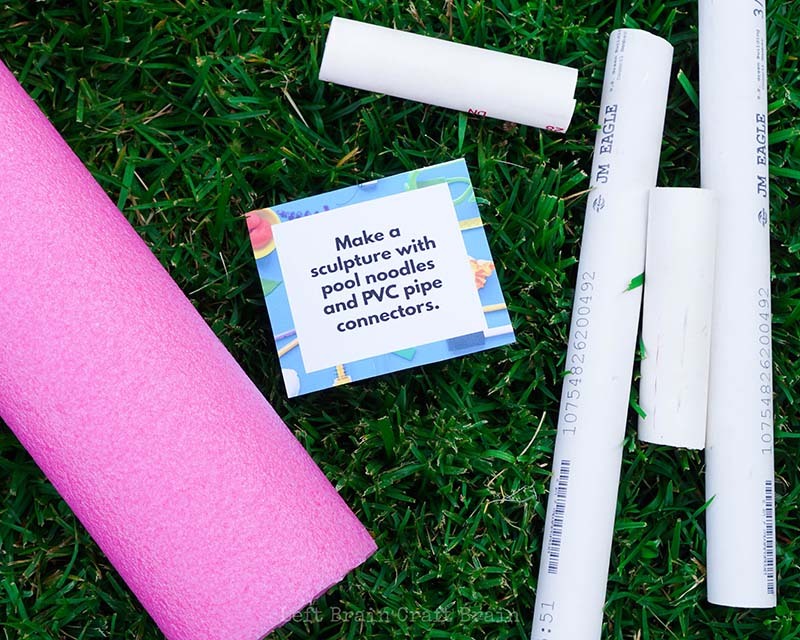 Make a Sculpture with PVC Pipe and Pool Noodles: This one might require a trip to the hardware store, but it’s really worth it. Kids can make giant sculptures in the back yard (or the living room if it’s rainy!) with pool noodles and cut pieces of PVC pipe used as connectors. Grab some elbow connectors and other fittings to make it even coolor. 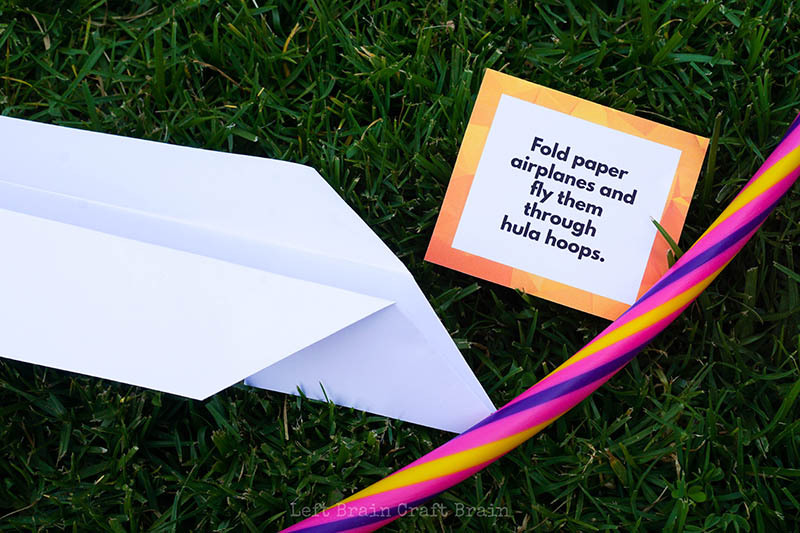 Paper Airplanes and Hula Hoops: Kids can play aeronautical engineer by designing and folding paper airplanes and then testing them by flying them through hula hoops. Have more than one kid? Have one kid hold the hoop while the other flies the plane. But if you only have one kiddo like me, you can tie the hula hoop in a tree or prop it on a wall. To get going on your challenges this month, you can download the cards HERE. To grab the Summer STEAM Challenge Cards, you’ll need to give us your name and email address. In full disclosure, I’ll be sending you occasional emails with new and exciting STEAM resources for parents and educators. 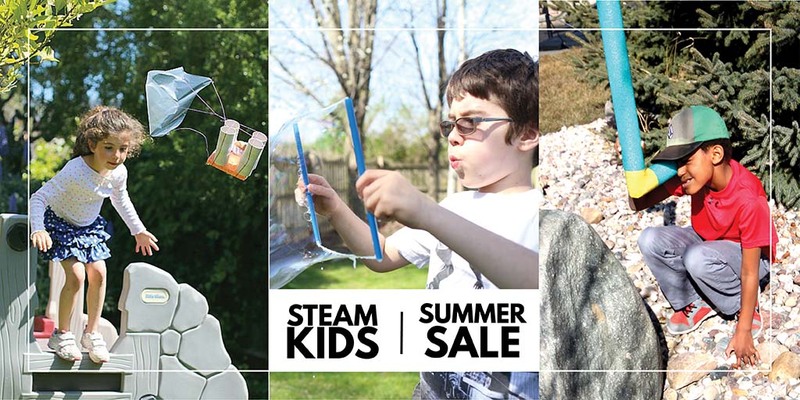 And as a special treat for anyone who loves summer, we’re having a BIG sale on all of our STEAM Kids Books to get you ready for summer break. Between 5/31/17 and 6/14/17, save 25% off all of our ebooks. In a VAT Country? Buy STEAM Kids EBooks HERE. Captivating STEAM (Science, Technology, Engineering, Art & Math) activities that will wow the boredom right out of kids! 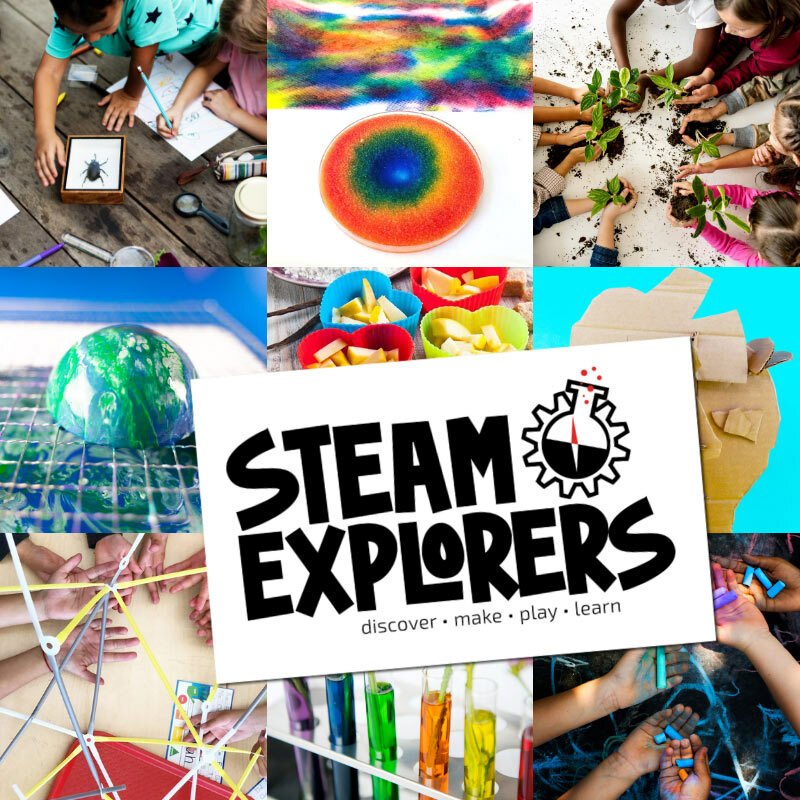 So gather up your curious kids and get your STEAM on this May! Or maybe you want to pick up the printed version of STEAM Kids… Hop on over to Amazon. (Please note, the Summer Sale only applies to our ebooks).